Of this July 2018 we will certainly remember the spectacular lunar eclipse, the longest of the century. And to stay on the subject, we want to lead you to the Valley of the Moon, in the Sardinian land; it is a unique place, almost lunar! 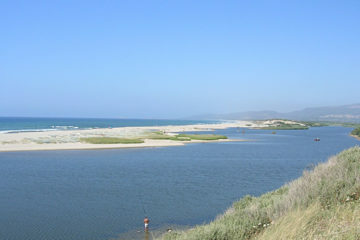 First of all, in Sardinia there are two places known with this name; in this article we will not talk about the Valley of the Moon of Capo Testa near Santa Teresa (popular in the hippy culture), but rather the one north of Aggius and also known as Piana dei Grandi Sassi (plains of big stones). 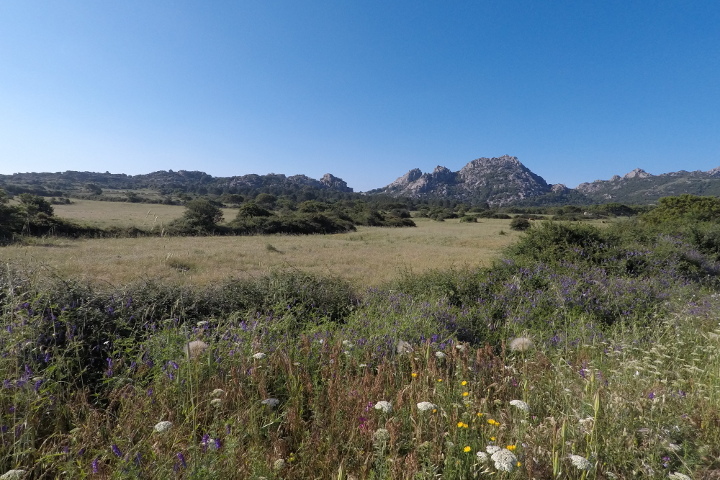 This is a place in the inland of Gallura, far from the main roads and the most famous locations… a place made of nature and silence. Mountains with sweet shapes surround a plateau, dotted with colossal granite boulders; these ancient rocks, with rounded shapes, have been eroded over time by atmospheric events since the age of the glaciations. To the south of the plain there are the mountains of Aggius, a group of jagged granite peaks. There are many ways to discover the valley. Motorcyclists or car drivers, like us, can follow the main roads, enjoying routes and landscapes. 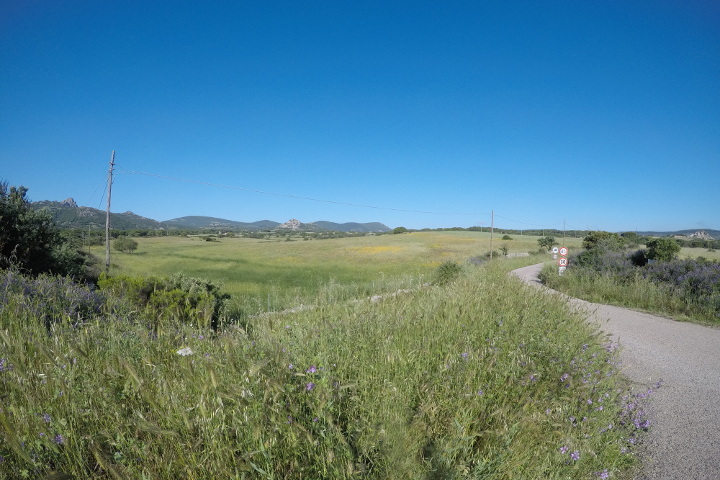 Cyclists and hikers can find narrower rural roads, that cross the meadows, between scattered rocks and cork oaks. There are few traces of human presence: scattered farmhouses, some crops and abandoned granite quarries. Coming from the west, from Viddalba, we stop in the large and panoramic parking square, which you meet shortly after the rural Church of San Pietro di Ruda. This is the ideal place to take a break and admire the view over the valley. 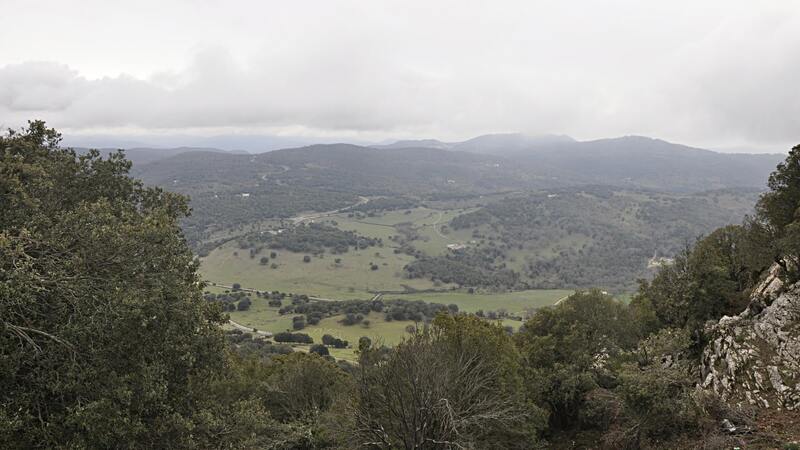 A breathtaking view sweeps over the entire plain and the surrounding mountains. In the summer months, there is also a small kiosk that serves as a bar and refreshment point. 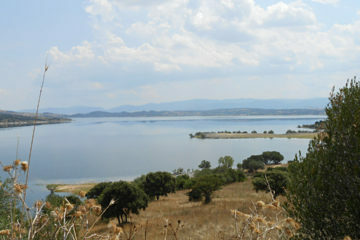 Then we start driving in the direction of Aggius, admiring the landscape and stopping several times to take pictures. 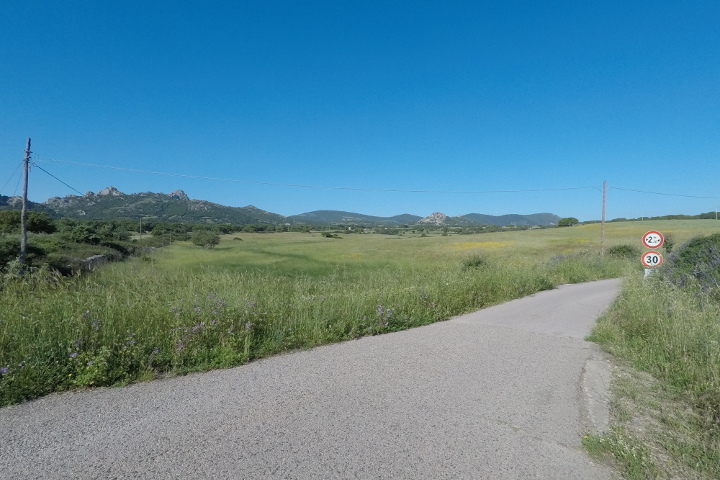 The village is not visible from the plateau; to go there, we can choose between two roads: the main one for Tempio and the panoramic one of Aggius. We opt now for the main one, but we suggest you to take them both with a ring itinerary; you will thus have the opportunity to observe the wonderful valleys that surround the plateau, from more perspectives. 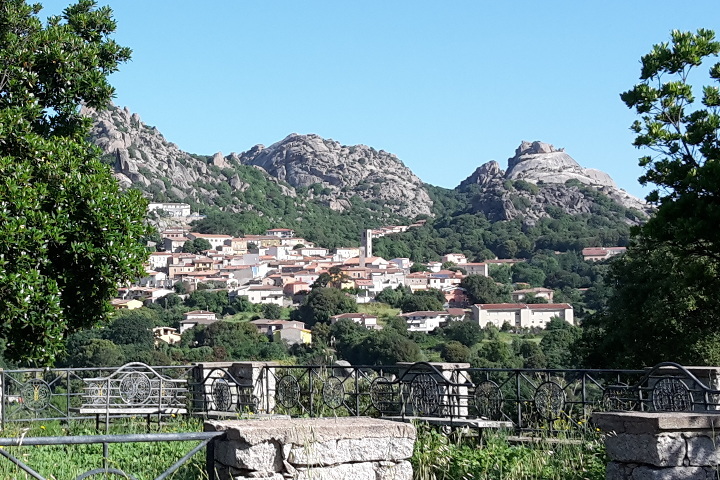 Aggius Aggius is a village of ancient origins, on the slopes of a granite mountain; the medieval center certainly deserve a visit, with its narrow and characteristic streets, small churches and museums. 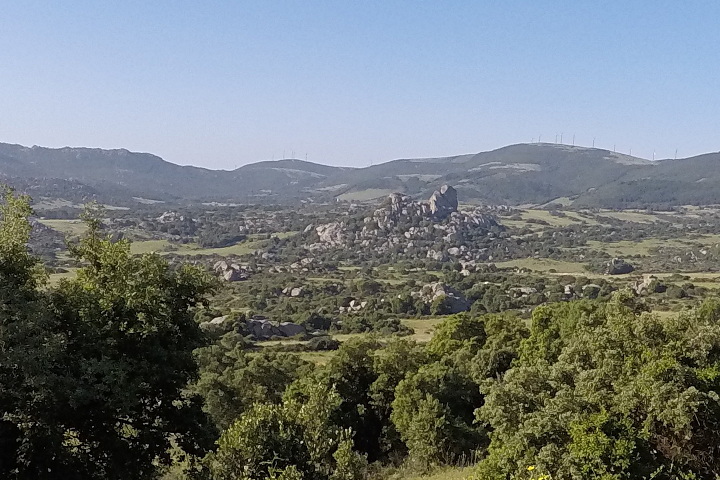 The Ethnographic Museum allows you to appreciate the richness of history, traditions and popular culture of Gallura region. Finally, there is the museum of contemporary art, opened in 2018: not limited to a room… The works are exhibited in the streets of the village! So you will discover photographic exhibitions in squares or paintings made on walls and facades of houses! 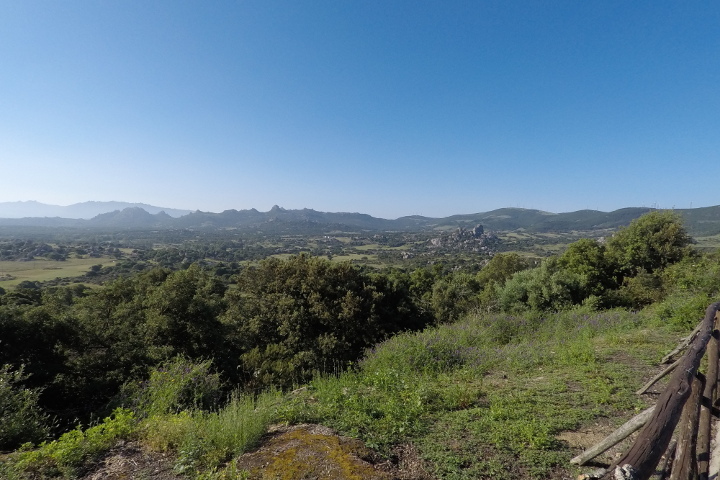 Around the village we also find some small parks: the ideal place for relaxation in the green, enjoying the view of beautiful landscapes.